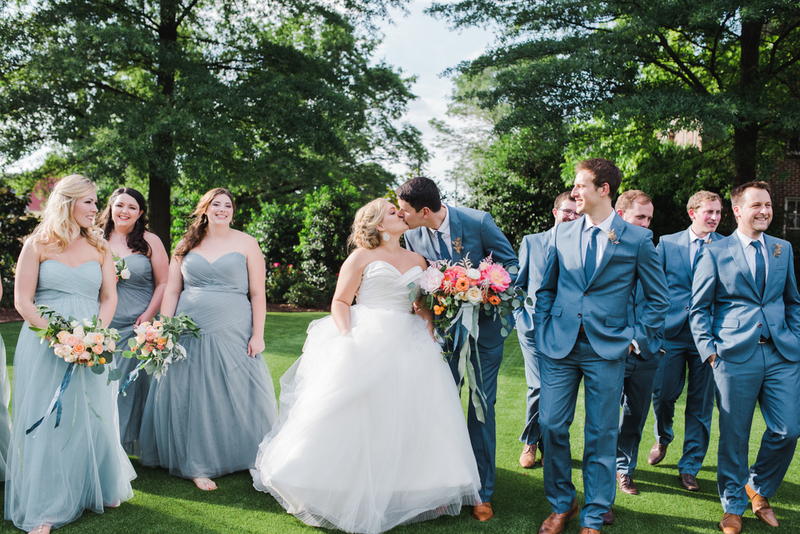 Hillary + Andrew were married on a beautiful Memorial Day weekend at the stunning Merrimon-Wynne House in Raleigh, North Carolina. 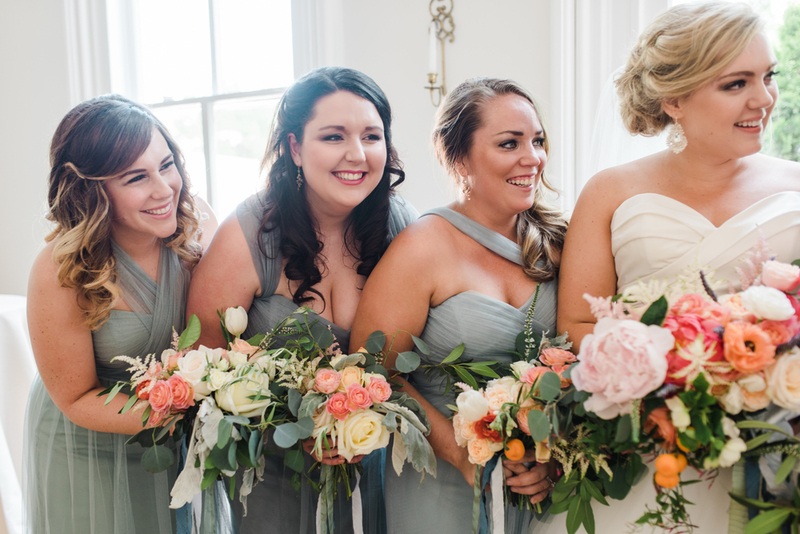 They chose gorgeous, bright blooms such as peonies, garden roses, and ranunculus. Kumquats on the branch were added for a bold pop of orange. English lavender was also used as a tribute to Andrew's home across the pond. 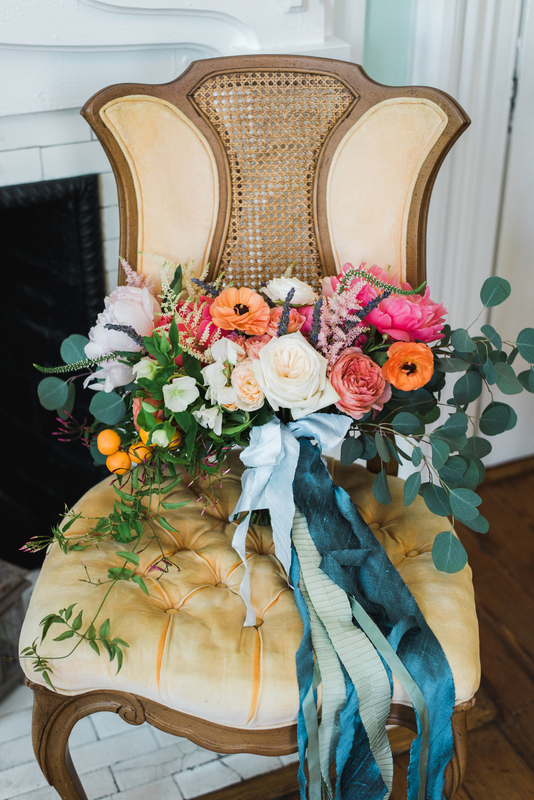 The dupioni silk ribbon in the bouquets was hand-selected by Hillary in New York City. 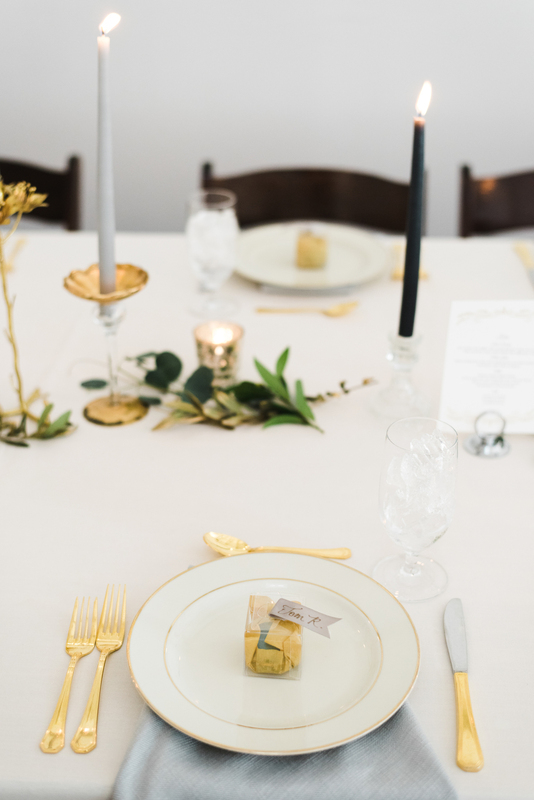 The multiple shades of grey taper candles were placed in beautiful, brass candle holders that Hillary discovered while antiquing. Hillary wore an amazing dress by Anne Barge. The entire day was exquisitely captured by Marcie Meredith! 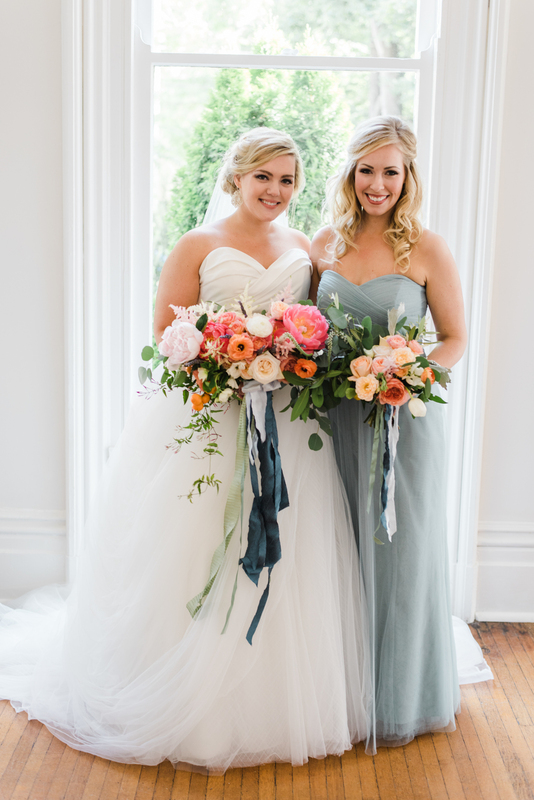 Tori was to be married out of town, but wanted to take her bridal portraits in town at Rose Hill Plantation, so she asked us to create the perfect Spring bouquet and flower crown for her using green viburnum, coral charm peonies, blush ranunculus, spirea, olive branch, eucalyptus, ivy, queen anne's lace, garden roses, spray roses and blooming cherry branches. 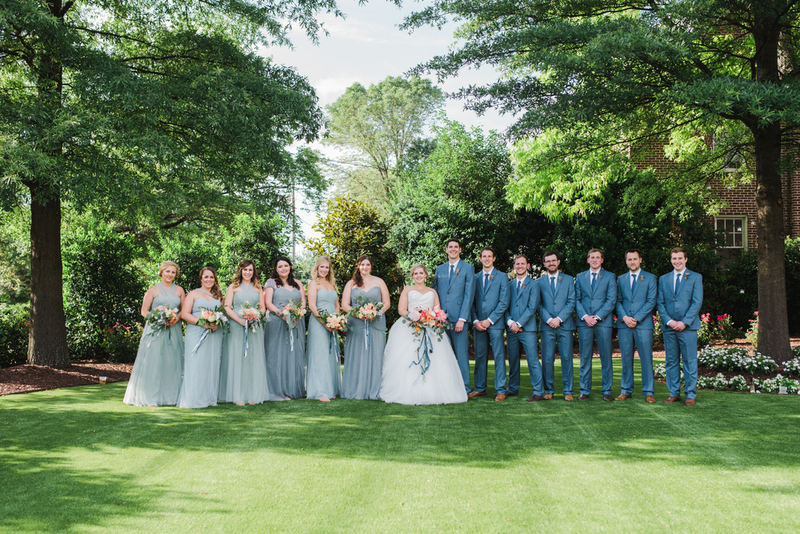 Jamie + Stephen were married on a beautiful Spring afternoon in March at the gorgeous Bay 7 in Durham. 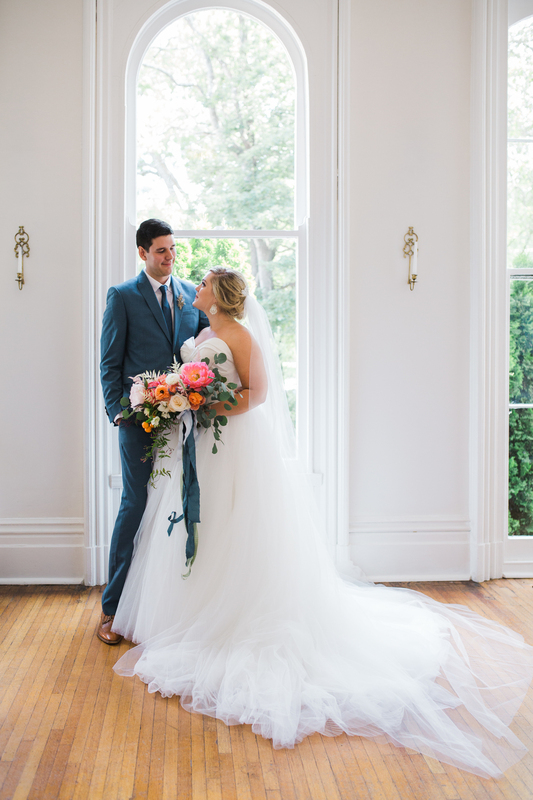 With a classic black and white color palette, Jamie wanted lots of greenery with lush blooms to compliment. 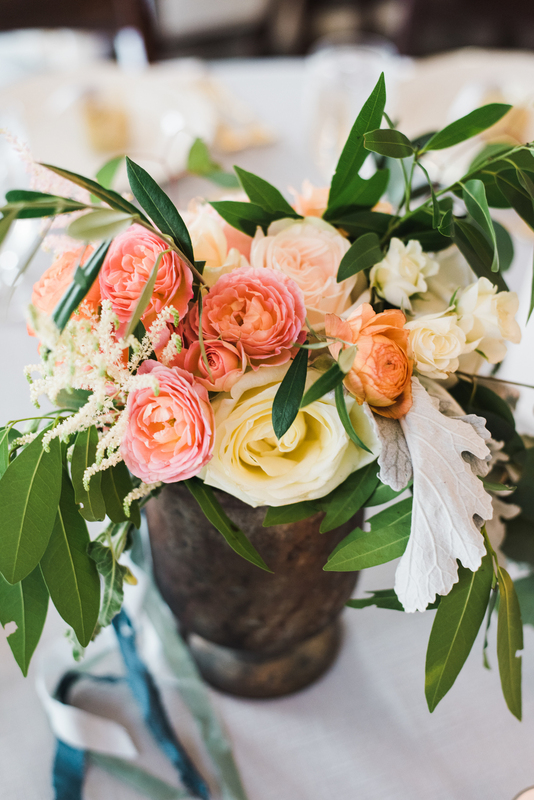 We used polo roses, alabaster garden roses, tibet roses and playa blanca roses, complimented with white anemone, spray roses, astilbe, ranunculus, double tulips, lisianthus and veronica, as well as dusty miller, silver dollar, seeded and gunii eucalyptus. The result was one of our favorite (and largest!) 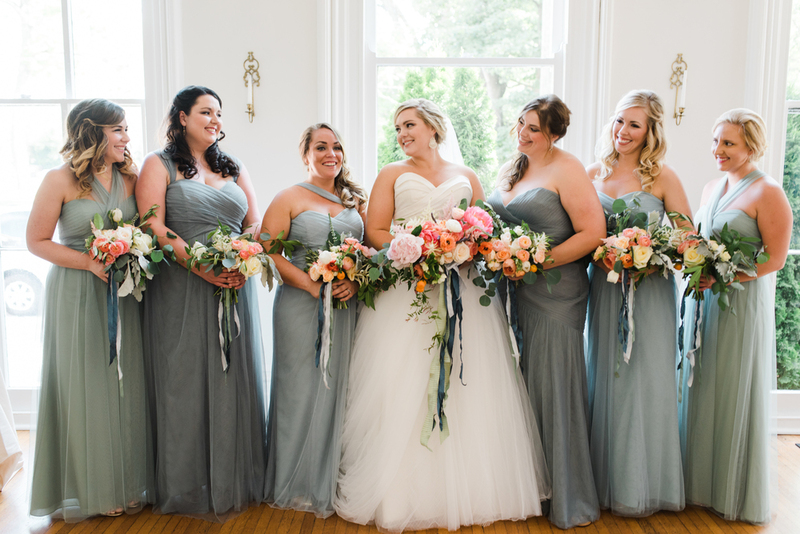 bouquets to date. 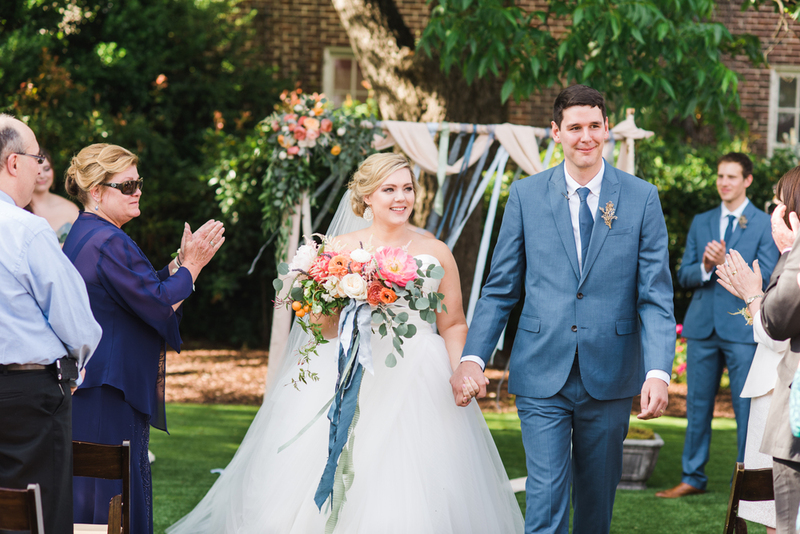 My favorite part was adding a piece of daphene from my own garden to the bouquet and boutonniere to help trigger scent memories for years to come of this special day!